The growing quantities of waste sludge generated in municipal and industrial wastewater treatment plants containing various organics and other contaminants require novel treatment technologies that are capable of achieving significant removal efficiencies and producing reusable sludge products. As a response, a large variety of advanced oxidation processes (AOPs) have been investigated to remove the present contaminants from wastewaters and limited cases of waste sludge. Multidisciplinary researches have been carried out accordingly. In this regard, electrochemical advanced oxidation processes (EAOPs) have emerged as novel environmental-friendly and effective treatment technologies for the elimination of several organic contaminants. Considerable validation of these methods has been performed at both the bench-scale and pilot-scale. Although a promising new technology, the mechanisms involved in the oxidation of organic compounds during electrochemical advanced oxidation processes and the corresponding environmental impacts have not been completely addressed until now. 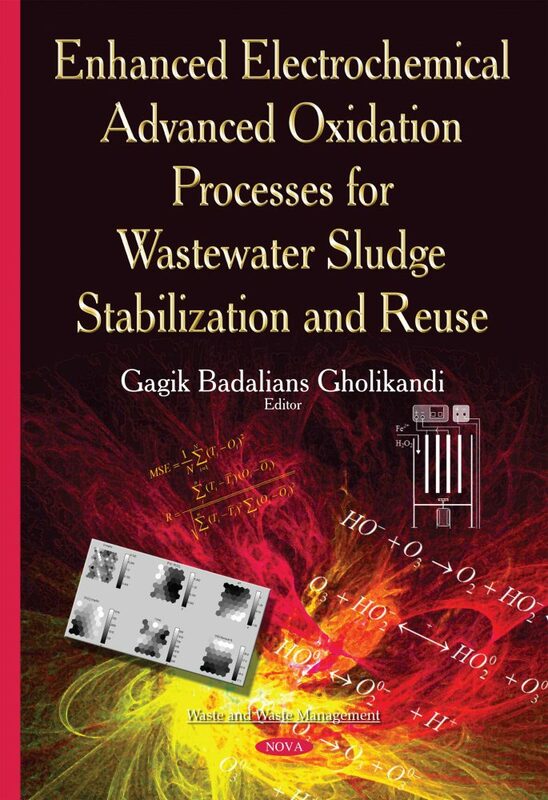 This book aims at the electrochemical advanced oxidation processes occurrence from different points of view, describing its related technologies, providing an assessment of the development and efficiency, and highlighting various aspects of waste activated sludge stabilization and reuse accordingly in five chapters. In the first chapter a brief review to waste sludge stabilization and reuse has been presented. The second chapter provides an overview to advanced oxidation processes. The third chapter describes the various electrochemical advanced oxidation methods. Chapter four presents and discusses the own experimental investigations results employing the Fered-Fenton EAOP. The modeling of the own experimental studies results by means of Taguchi method and artificial neural networks has been performed in the fifth chapter. Audience: University Professors, students, researchers, consulting engineers, politicians and wastewater professionals.